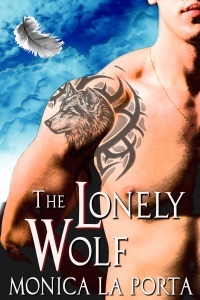 Monica La Porta author of The Lonely Wolf answers five easy questions to help readers get to know her better. Like every Italian, I love to cook, but I must have been Japanese in another life, because my favorite family style meal is a big pot of ramen soup, filled with fresh ingredients. When I am not reading or walking, I paint, make sculptures with pasta ceramica (a homemade dough made with corn flour and white glue,) build dollhouses, and I create felt food to decorate my Christmas tree. Love stories, in any genre. Paranormal with a sprinkle of dystopian and steampunk is my favorite, but I love space opera as well.